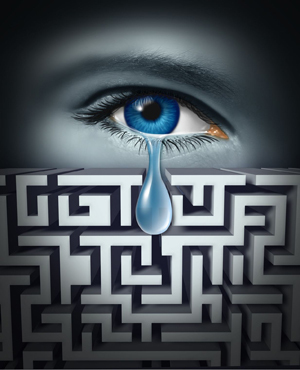 Breaking Free from an addictive pattern can be a very challenging and an overwhelming struggle. It can self-perpetuate through self judgment, self hatred and self criticism, when in truth, wholeness is found in love, not judgment. The belief system that has been built into most people is that addiction is a choice and stopping is just a matter of willpower. That cannot be further from the truth. The research that exists today shows a very different story. Our brains are very powerful machines. Most of how our body is managed is through the subconscious mind, and not at all in our conscious awareness. One of the goals of the subconscious is to move away from discomfort and towards pleasure. When we learn a coping mechanism that move us away from feelings of discomfort and towards pleasure, the seeds of learning have been sown in the subconscious mind. Addictive actions are basically born out of inefficient coping mechanisms. We may reach for that seeming comfort to perhaps reduce our daily stress or relieve other unfavorable feelings. Once we've taught our brains to solve a problem in a certain manner, our brains go on automatic pilot. Think about it. Do you drive the same way to work everyday? Do you generally follow the same daily routines? Unfortunately, unhealthy habits can be learned just as easily as healthy habits. Addictions create a double edge sword in our lives. While they provide what appears to be immediate emotional relief, they actually create other serious consequences. The self-judgment and the judgment of others that is attached to the belief and perception of addiction, can be very damaging and hinder a resolution. The truth is our conscious mind is no match for the subconscious mind, and these behaviors are a product of the subconscious mind. While we can intellectualize that these methods of coping don't make sense, if the subconscious mind detects discomfort and has determined it as a valid path to comfort, it will not even consult the conscious mind. The key is to reteach the subconscious mind. 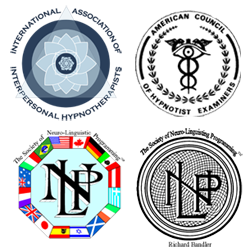 Combining Hypnotherapy & Neuro-Linguistic Programming provides a natural, safe and effective process to retraining your subconscious mind, helping you to release the hold addiction claims to your life. Using these tools, we can work together to uncover belief systems that most likely are the driving force behind the behavior. Through the discovery of unhealthy belief systems, we can effect a change of state. First, a change of state in the mind, and then a change of state of how you choose to respond. Combining these techniques and utilizing hypnosis to reduce stress in your life can create more balanced and mindful living. Hypnotherapy can truly help impact your efforts to releasing any unwanted behaviors or habits from your life, simply by engaging the power of your subconscious mind. If you have suffered enough and are ready to find your true wholeness, I invite you to contact me to learn how hypnotherapy can help you overcome your struggle of your subconscious mind. I am not an addictions counselor. I simply guide you on the path of your subconscious mind to help you uncover your personal beliefs systems that are at the root of the issue and ultimately help you unlock and unleash the power of you.